Date: 5 February 2016. Freezer Ice Bag. 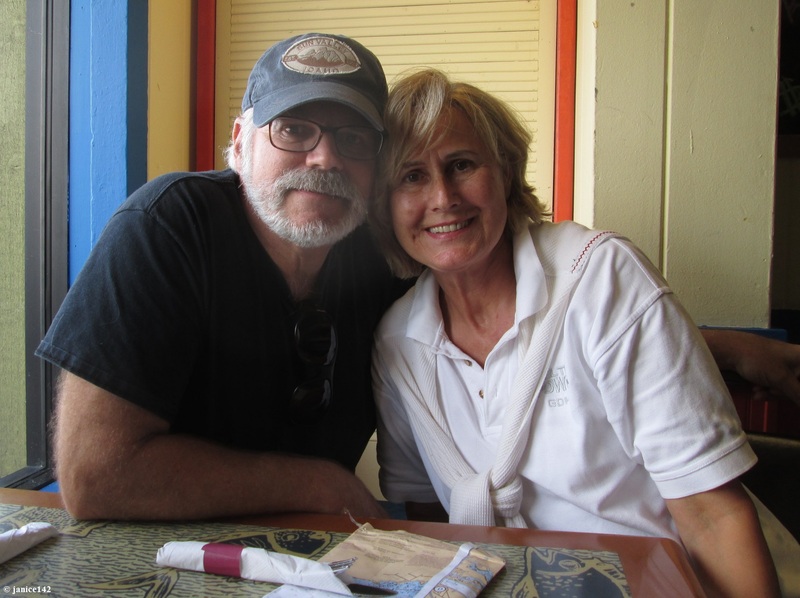 Last month I had a great time thrift store shopping with my friend Cheryl. 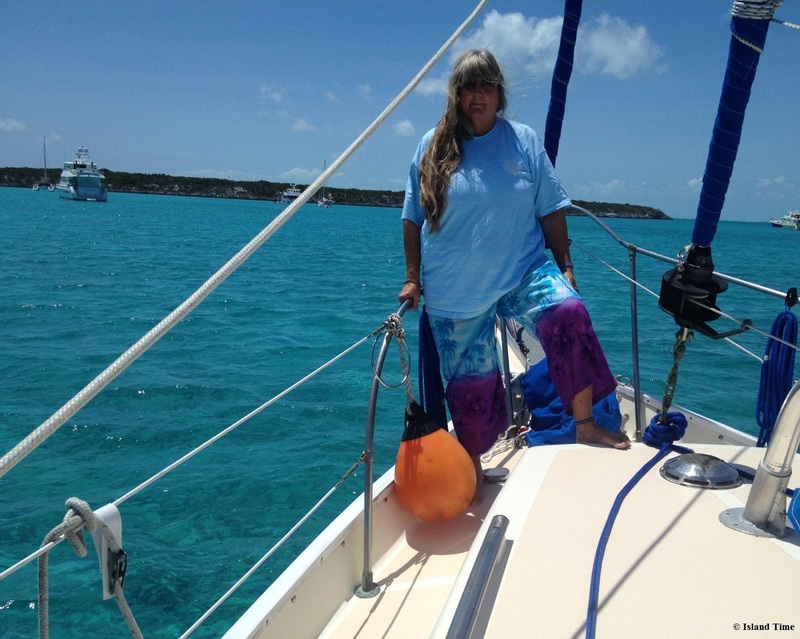 Cheryl cruises on a Schucker named Island Time. While enjoying a lunch break at McDonald's we chatted about our freezers. I commented on how much I loved having ice aboard. The level of decadence continues to rise aboard Seaweed. Having those final two solar panels has made all the difference in the world. Now I can run my reefer 24/7 without concern. Larry and his Eva made that possible. You cannot imagine my JOY at the addition. Having ice cubes and a refrigerator with room enough for a cantaloupe is a real treat. I've joined the new millennium and it is good! The SeaBreeze has a dock out back that can accommodate larger boats, such as a Manatee. Life afloat is wonderful. Being able to make ice at will is even better. Once made my method of putting the cubes into a large plastic bin was was not an efficient use of freezer space. Cheryl and I discussed where and how we store our ice cubes. Her solution is far superior to my own. I kept mine in a bin in the freezer. That's fine but the plastic box takes up a lot of room. And honestly I don't need that much ice at any one time. What I liked best is the cost is negligible and the benefits are multifold. 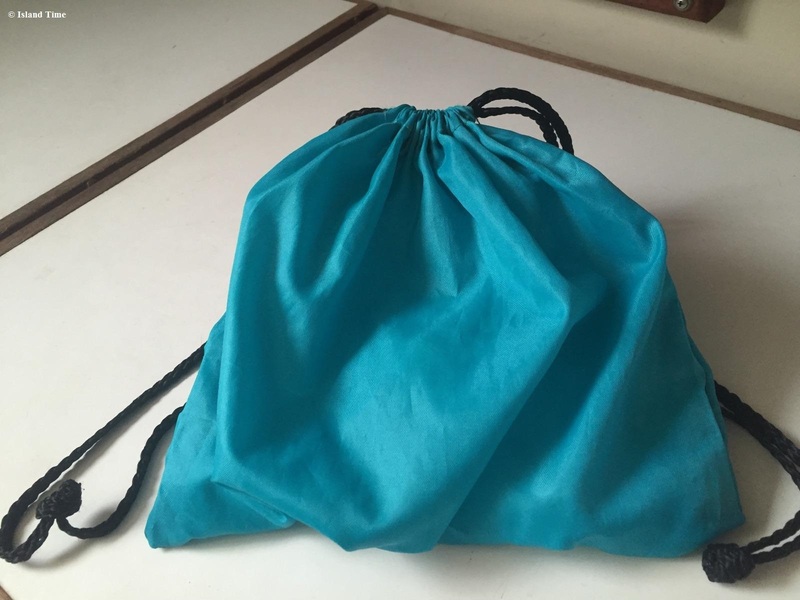 This is a simple drawstring bag. The bag or one like it can be bought at the dollar store. It is waterproof. I had a similar though smaller version in my locker. I pulled it out and am now using a lightweight canvas bag. Mine fits two trays of ice. That is sufficient for my needs. It is convenient to have the ice cubes in a flexible bag. This is much better than my plastic box. Cheryl's turquoise bag is easier to find in the freezer than my tan one. If I were looking for a bag I'd opt for the brightest color I could find. I can squish the bag in a corner of the freezer with ease. By opening the bag I can confirm the freezer has stayed cold the whole time I've been away from the boat. 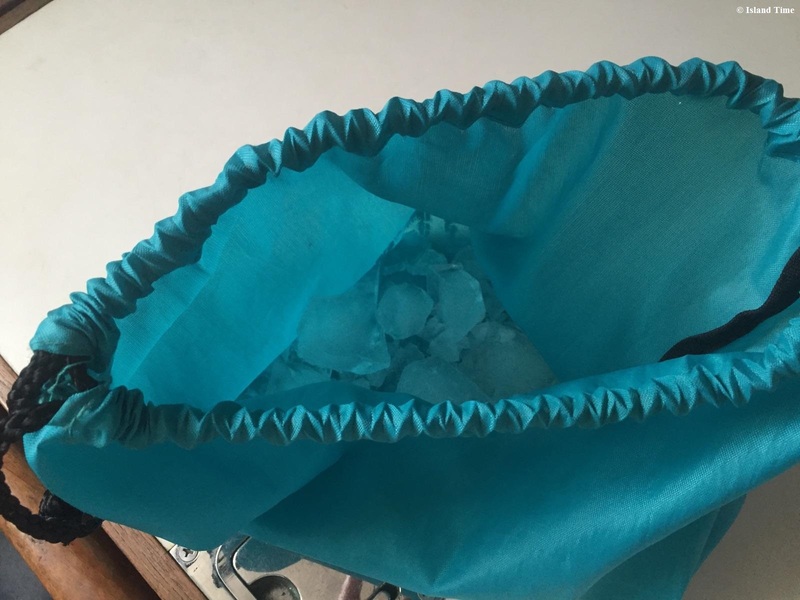 Had the freezer been off for any length of time the ice cubes would melt into a glob at the bottom of the bag. Because the bag is waterproof any water would remain in the bag rather than spread through the freezer making a mess. Being able to grab a bag of ice means that I can close the freezer door quickly. Filling a glass or two with ice and then returning the bag to the freezer takes little time. In the morning I empty my ice cube tray into the bag and I'm set for the day. If I need more later a new batch of cubes will be frozen by mid-day. Sometimes it's the simplest things that make life afloat easier. This bag is definitely in that category. A low cost solution to ice cube storage is just right for my budget. For those of us fortunate enough to be able to make and keep ice, this idea is tip top. Thanks for sharing Cheryl! How do you store your excess ice cubes? I have just one ice cube tray. How many do you have and use? Aphorism Alert: I personally like the forward progression mankind has made in life and would like to capitalize on it. M/V Miller Time part deux.